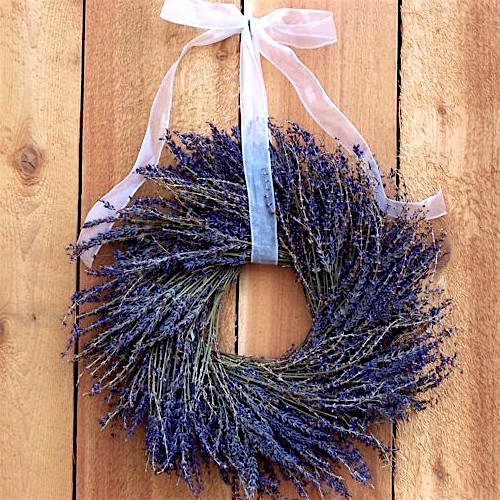 Making a wreath from dried lavender is a great way to bring an organic appeal to your home. 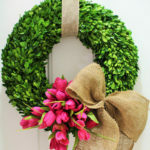 Herbs are wonderful fragrant plants that can be used to make stunning, natural wreaths. 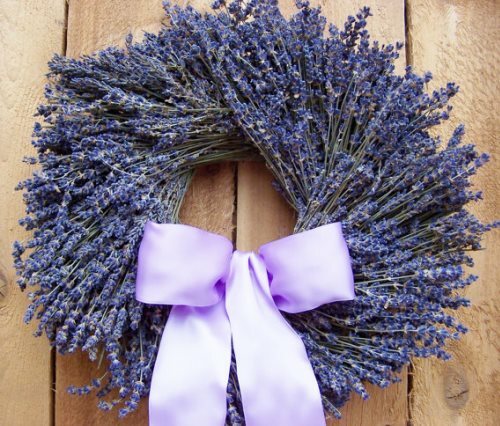 One herb that is ideal for such a wreath is lavender. It doesn’t only smell superb; it looks stunning as well with that little, purple-blue flowers when it blooms. Making a dried lavender wreath is a great idea for bringing some fragrant into your home and along with it some natural pastel color and it is really easy to make, too. Just grab a few supplies and you are ready to go. Lots of dried lavender stems – Purchase them here! You can find the link to the video here. Place the bunch of lavender onto the wreath form giving them the angle you want and secure them by wrapping a piece of wire a few times around the wreath. Take another bunch of lavender – try to keep them at the same size – and secure it next to the first one, keeping the same angle. 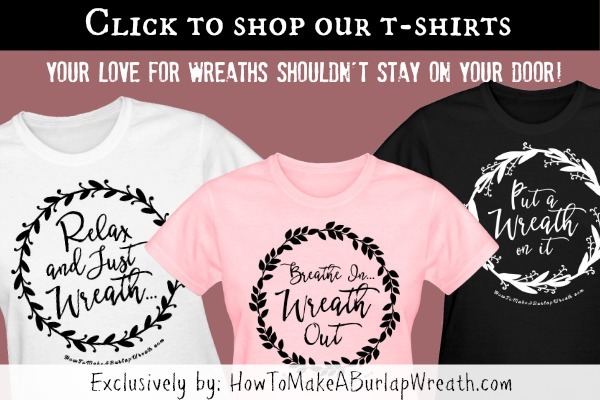 Continue until you have covered all of the wreath form. Wrap the ribbon around the wreath and make a loop for hanging. And you’re done! 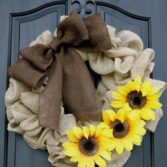 Wreaths on doors are very popular for welcoming each season or celebrating a special day. They are the first “hello” to your visitors and can give a warm greeting for any one that passes by your home. 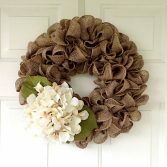 Most of the supplies needed for wreath making can be found in craft stores or at the craft department of larger stores. 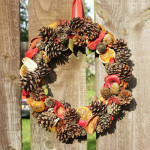 Other places to find wreath making supplies are more specialized stores like flower shops and of course there is always outdoors for collecting natural items. Lavender is known for its lavender oil, too, which is used in many cosmetic products, perfumes and for aromatherapy purposes. It is especially known for easing anxiety and help sleep better. Furthermore, it has antimicrobial and anti-inflammatory features, too. If you’re looking for lavender oil try this one. If you like gardening, you can easily grow your own lavender plants. They are great for keeping nasty insects like mosquitoes away and their flowers can be used in many ways, such as for fragrance or even spicing foods or teas. Don’t Have time to Make a Lavender Wreath? Amazon has a faux lavender wreath that looks as beautiful as the real one! Making a dried lavender wreath is easy and you will have a wreath that smells beautifully for many years to come. It’s a perfect gift for a natural household and can add a rustic, earthy touch to any home. Use different species of lavender or even good quality artificial lavender bunches for an interesting, colorful result. If you want, you can use some other embellishments to give the wreath a little different look, but the lavender flowers are surely perfect embellishments all by themselves. For more organic wreath tutorials, click here. Aaah so that is how you do it! I love lavender wreaths now I know how to make them. I’m going to put this into my favourites so I can come back to it later. Thanks for sharing. Beautiful! I adore lavender. Thanks for sharing and have a lovely week. What a great idea! I have 3 large lavender plants and plan to do this in the spring. Pinned. 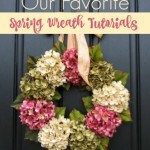 What a great wreath for spring! Thanks for sharing at Merry Monday, hope to see you again next week! I am definitely pinning your gorgeous lavender wreath to my Wedding Board as lavender is one of the florals being used at my daughter’s wedding this summer. I think a wreath like this would be pretty behind the head table. Thanks for the tutorial! Stopping by from Motivation Monday Linky party. 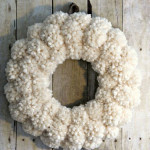 I love wreaths – I wish my lavender would grow big enough so I could make a wreath like this for summer. I love the smell of lavender! Thank you for sharing! We absolutely love lavender in my house! I’m hoping to grow some this year. What a pretty way to use it. Lavender is a favorite of mine. I would make one to hang on the inside just so I could smell its lovely aroma. Celeste I can smell your wonderful home from here! 🙂 Thanks for the nice comment.